Through unmatched experience, Porsche Gold Coast brings to its clients more than just the legendary Porsche trade name; they present the entire heritage of the world’s most celebrated sports vehicle. Coupled with an unmatched devotion to its clientele and the development of long-lasting relationships with Porsche owners, Porsche Gold Coast remains the center for everything Porsche. A commitment to excellence and performance above industry standards is expected at Porsche as a baseline for conducting business. 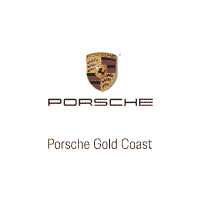 Porsche Gold Coast sets itself apart by exhibiting an entrepreneurial spirit in their approach to customer service that epitomizes the independent mindset of Ferdinand Porsche himself. Recognized for routinely going above and beyond, Porsche Gold Coast continues to prove their devotion to both the Porsche brand and their valued clients. Congratulations are in order for our team of Porsche professionals, and all of our loyal customers for making Porsche Gold Coast one of the top dealers in the country! As a Porsche driver, you don’t compromise on the car you drive. So why compromise on parts? As a Porsche owner, it’s only natural to expect the best. Not just at the wheel, but when servicing your Porsche as well. Your Porsche is built to take anything you can throw at it. Except for poor quality parts. Which means every genuine Porsche part has been designed by Porsche and rigorously tested under full race conditions. Only Porsche offers genuine Porsche quality, plus a two-year warranty on all repairs and all genuine Porsche parts. We only employ Porsche trained technicians who receive regular ongoing training and can access the latest technical information from Porsche AG in Germany. This means there’s only one reason not to choose a genuine Porsche Service: if you don’t own a genuine Porsche. The Best Porsche Service on Earth! The philosophy of the Porsche Gold Coast Service Center is tied to the belief that your Porsche is more than just your car. It represents a living dream, a passion fulfilled, a desire attained. The team at Porsche Gold Coast not only recognizes this feeling but shares in its existence, fueling the dedication of their superior staff in providing you with the highest quality of dependable service. Porsche Gold Coast is dedicated to maintaining a service department that mirrors the classic style and integrity of the world’s finest sports car. Staffed only by the most expertly trained factory technicians, trusting the service needs of your most prized possession to our Porsche Certified Mechanics will be the best decision you could make for the life and care of your car. Serving the New York metropolitan area for nearly ten years, Porsche Gold Coast is the center of excellence for every aspect of Porsche maintenance. From a simple oil change to more intensive procedures, including high-performance engine and suspension modifications, Porsche Gold Coast’s state-of-the-art diagnostic, maintenance, and repair equipment is capable of handling every procedure necessary to keep your Porsche in exceptional condition. Trust Porsche Gold Coast for lifetime care of your Porsche. We invite you to make an appointment at our showroom today and get acquainted with the friendly, knowledgeable service staff of our dealership. Whether or not you purchase your vehicle from us, we want to be the service center you turn to for all of your Porsche needs. Begin a relationship with us today and let us share in maintaining your passion throughout the life of your dreams. After a month of searching for the ideal Macan GTS, I was able to find it at Porsche Gold Coast. Being out of state in CT, I called the dealership and connected with Sam Gadkar on the details. Sam was a pleasure to work with, very personable and made the process of working out the details over the phone a breeze! He was then able to schedule a test drive and delivery on the same day to avoid another 1.5 hour drive to NY. Sam and the dealership are top-notch with a vast selection of vehicles and accommodating cafe and waiting area. I highly recommend and be sure to ask for Sam! I've been servicing my Boxster S at Porsche Roslyn, now Porsche Gold Coast, for many years. Every visit has been a great experience. I just visited the new facility, which is by far the most impressive dealership I've ever been to. The staff continues delivers a spectacular experience. I highly recommend this dealer for purchasing, leasing, or servicing you Porsche. I have purchased multiple P cars from Eric Breitman. the Porsche Gold Coast General Sales Manager, and he is THE best in the business. Great sales staff (shout out to Sam Gadkar) and amazing service. If you want THE best P car sales and service in the NY area call Eric Breitman at Porsche Gold Coast. You won't be disappointed! I just placed my order for my third Porsche from Sam Gadkar. It is always a true pleasure to work with him. While building my new car, he provides valuable input and guidance on what options are a "must". After buying 2 Porsches from him already, he truly knows what I like and don't like, and will custom tailor the car to my liking. They just moved into their brand new dealership, and he invited me in during their first week to give me a personal tour of the facility. While touring the facility, he showed me various vehicles that contain the various options that I have selected, so I can get a good sense of what my new vehicle will look like when it gets here. Wow, I am even more excited to pick up my new car in 3 months!! This state of the art facility is THE place to go for your Porsche and Sam Gadkar is THE person to see! !